Clip Chair or Real Salon Chair? Save big on a fantastic collection of the world's only doll with real hair and accessories to go with her! 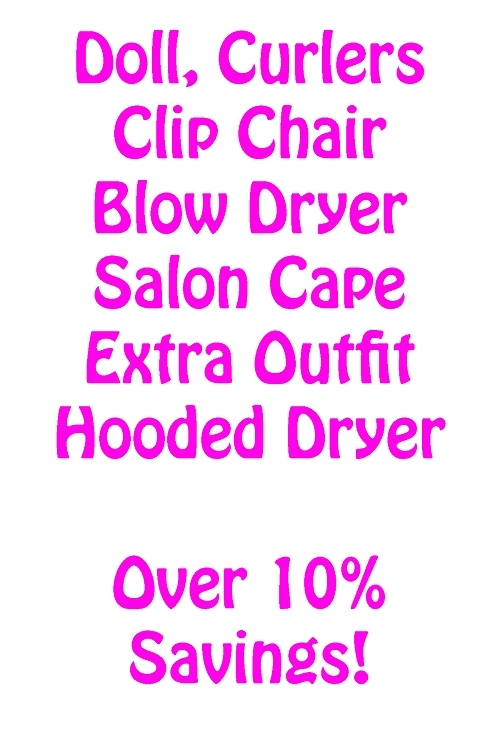 Includes your choice of My Salon Doll, Real Salon Chair, Rollers, Hooded Dryer, Mini Blow Dryer, Zebra Styling Cape, and extra outfit of your choice.